The Black Coat Kickstarter has launched!! Hey, why's that Black Coat guy here again? to read all about it and the awesome rewards we're offering. 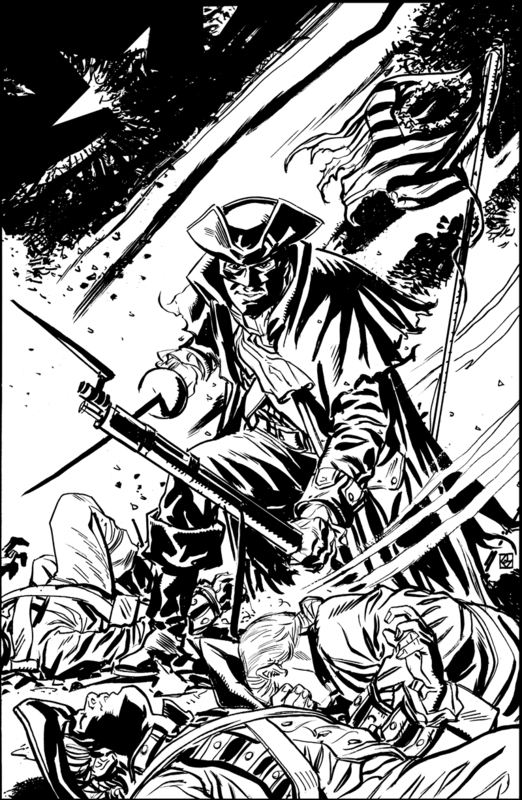 Hopefully we reach our goal, 'cause I'm itching to draw ol' Tricorn-head and his motley band of adventurers again. Plus, this series will feature everyone's favorite first president, George Washington! 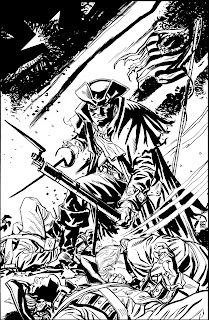 this here promo piece: brush and ink: 11"x17"